In addition to our weekly classes, Veritas Swordplay Academy teaches workshops, conferences and symposia locally, regionally and even globally. We'll gladly travel to teach this fascinating historical combat system for other groups, organizations or events, large or small. 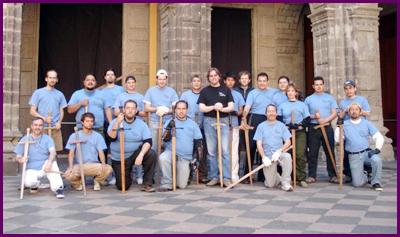 We have also hosted workshops with renowned guest instructors in related studies of Historical European Martial Arts (HEMA). In the past we've featured workshops focusing on Scottish broadsword and targe, Italian rapier and, of course, world-class instructors in German medieval martial arts. Contact us today to discuss rates and scheduling!